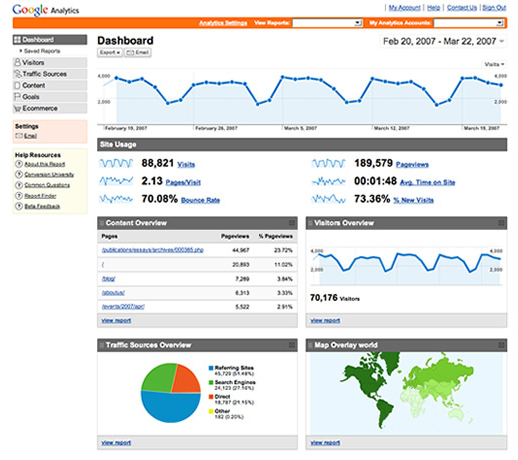 Analytics can improve your website and your online marketing initiatives. Analytics makes it easy to turn page views into profits. Measure the success of your display, search, new media and offline advertising efforts. Compare your site usage metrics with industry averages and track Flash, video, and social networking sites and applications. Uncover trends, patterns, and key comparisons with funnel visualization, motion charts, mapping, and more. Create the reports, dashboards, and segments that make the most sense for your business. Administration controls and email reports allow you to share data across your organization.